This summer, em-cee/producer and sonic auteur, Lushlife, released his highly-anticipated sophomore full-length, Cassette City, an album that delicately balances a classic hip-hop ethos with the artist’s penchant for indie experimentation. Cassette City was met with critical acclaim from both sides of the musical spectrum, being included as Chairman’s Choice by hip-hop stalwart Jeff Mao in July’s issue of XXL Magazine, while garnering plenty of blog-buzz from indie/electronic taste-making sites like Scissorkick, Impose, and many others. 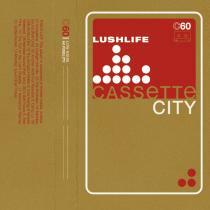 With Cassette City continuing to build momentum, Lushlife has embarked on yet another ambitious and genre-defying project using the album’s source material. He’s recruited his favorite bands, artists, and producers, from the realm of indie music to contribute remixes of key songs from his original LP. 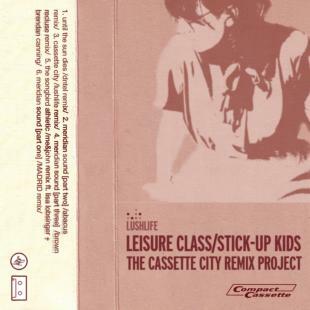 The resulting remix EP, Leisure Class/Stick-up Kids, features a far-reaching cast of musicians. With a glitchy jump-up contribution from The Postal Service/Dntel mastermind, Jimmy Tamborello, and a soca-tinged [yes, soca] interpretation from Broken Social Scene founders Lisa Lobsinger and Brendan Canning with producers Ryan Kondrat and John La Magna [me&john], Leisure Class/Stick-up Kids will be, if nothing else, a fascinating experiment. Other contributors to the project include Toronto electronic-pop dudes, MADRID, a gorgeous, low-fi, solo effort from Sleep Whale drummer, Spencer Stephenson, under the moniker, Abacus, as well as remix from Lushlife himself. Even Lush’s neighbors in Philly, the boys from Brown Recluse, will put their ‘60s-pysch-pop spin on his patented boom-bap sound. Leisure Class/Stick-up Kids is far from banal hipster-baiting hip-hop fare. Instead, it’s a chance to see rap music projected through the artistic prisms of a wide variety of incredible artists who reinterpret, revisit, and recontextualize.